The Family School is also dedicated to providing high quality, affordable childcare to low income families through our licensed Child Development Center. 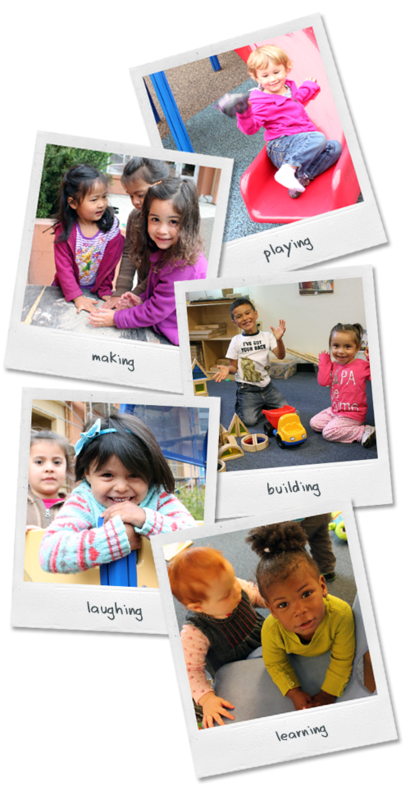 The Family School is committed to meeting the needs of families who cannot afford to pay the high cost of child care. The philosophy at The Family School Child Development Center is to provide a warm, nurturing and enriched environment that stimulates the growth and development of each child. Well-trained and experienced staff at The Family School provides a developmentally appropriate curriculum and environment that enables children to actively explore and discover the world around them. The activities of the program are chosen to acknowledge the importance of attachment, play, individual needs and culturally appropriate practice. The environment promotes cognitive, sensory-motor and brain development through careful attention to these areas. The responsive environment provides children with many sensory-motor based experiences that are stimulating, challenging, open-ended, child initiated and child directed. We believe that children learn through their senses and by doing. They need to manipulate and actively explore their environment. Children acquire knowledge about the world through sensory motor experiences, otherwise known as play. The Family School responds attentively to each child's individual needs. The caregivers connect with and understand each child. The goal is for parents and staff to support each other to enhance the physical, emotional and cognitive development of each child. The program is designed for bonding, playing, learning and growing. The Family School Child Development Center is a community-based non-profit organization which provides infant, toddler and preschool care to children from four months through five years of age. We offer a comprehensive array of developmentally appropiate learning experiences to address the individual, developmental and emotional needs of the child. The Family School, a community-based non-profit organization, was founded in 1986 in the Western Addition neighborhood of San Francisco. A second Child Development Center was opened in December 2001 in the Mission District.